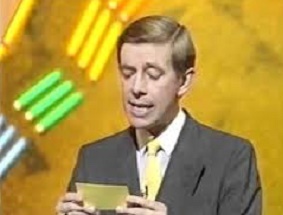 The heat is on the and time is right according to the campaign for Britain to stay in the European Union, who have this morning announced the appointment of none other than afternoon Euro quiz icon Henry Kelly as their leader. In his first press conference as a serious political figure Mr Kelly assured critics that he was confident in his abilities to persuade Britain that it should remain in the European Union. “Would ‘Going for Gold’ have happened without the EU? Would there have even been some sort of English speaking Euro general knowledge competition? One thing’s for sure, I’m not even doing it any more so you can only imagine how little I’d be doing it if we weren’t in Europe.” He told us. However Mr Kelly’s frightening vision of a future not involving himself saying “Who am I?” to a variety of people of whom English is not their first language in the early nineties straight after Neighbours has been described as ‘scaremongering’ by EU exit activisits. Indeed, UKIP leader and leadership hopeful for the campaign to leave Europe Nigel Farage has denied that pulling out of Europe would affect such decommissioned pseudo multicultural daytime television shows. “It’s quite feasible for an independent Britain to host a quiz show where, despite most of the contestants coming from foreign countries and all the questions being in English and about English things, the English contestants never actually win it. We’ll just be carefully vetting all foreigners involved and making sure that they don’t leave the country without handing back any prizes.” He explained.